Publikation der Friedrich-Ebert-Stiftung mit folgendem Klappentext: Income inequality in the European Union (EU) has barely changed for a number of years. Neither improvements like those before 2009 nor a substantial worsening have been observed. However, this applies only to relative inequality. 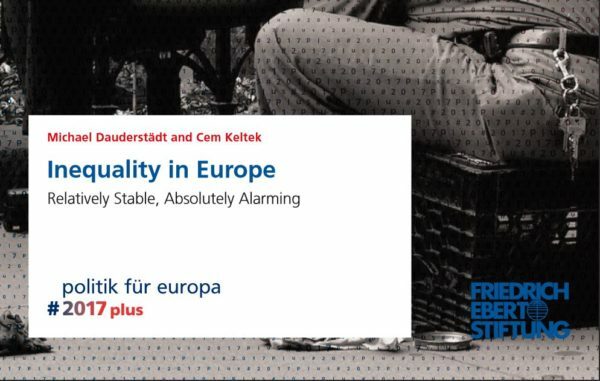 If one looks at the absolute differences between the highest and the lowest incomes, however, an alarming increase in inequality is to be observed in Europe.